Career missionaries since 2016, serving as Field Directors to the Asia projects. 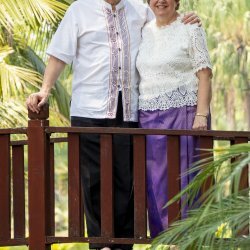 Pastor Bruce Hayward and his wife Dorothy will serve as field directors for the Asia projects upon completion of summer training. 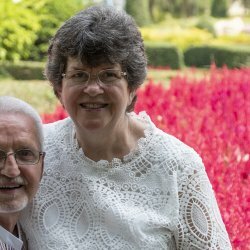 Bruce served as associate pastor and and Dorothy as director of the WellSpring Ministry and Family Life Counseling at the Village church in Berrien Springs for twenty years and retired in December of 2016. 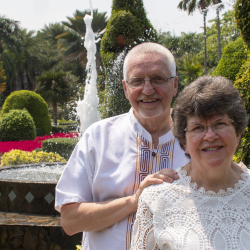 Having always had a deep interest in missions and to finish the work, they will offer their guidance and counseling to the missionaries in the Asia region. What a blessing it was to be with the Hutchison family who are building strong relationships in this community of Muslim families. God can use my limited Thai words, my smiles, my prayers and perhaps just my presence to shed a ray of light into a soul. The seeds of friendship are growing, and I want to cultivate them with a healthy dose of Christ-like thoughtfulness. Just like that unexpected and unwanted midnight visitor, Satan comes to spoil our lives through temptations, heartaches or anything else he can use to rob us of our peace with Jesus.